Apparently the two laddies were drunk the night they played 3-card poker at the Grosvenor casino in Stockton. But that didn't stop 54-year-old Ian Banki and 51 year-old Steven Pooley from pulling a little card switch at the poker that netted the card-swapping cheats $2,500. There was no one else involved in the scam. The dealer was distracted by a fellow employee coming over to the table and the pair just seized the moment. In fact, Banki told the judge, "There's not a lot we can say. We didn't go in there to cheat. We had a good drink and it just happened. We are very very embarrassed and ashamed of what we did." Well, that "good" drink turned sour when casino personnel played back the video and saw the pair switch the cards. The judge, Kristina Harrison, after listening to Banki's excuse, said, "Probably opportunistic after a few drinks." She then ordered the pair to pay back the money they swindled from Grosvenors and slapped Banki with fines and costs totalling $150 and Pooley $450. I don't no why she held Pooley three times more responsible than Banki--Must be a personal quirk. My take: Well, I think this judge was both cool and fair. She didn't make a big deal of this and give the pair a prison term or a felony conviction. 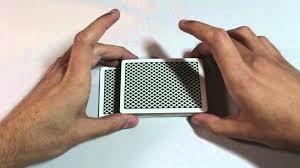 The Ol' false shuffle back again! The Bad-Beat Poker Jackpot was set at more than $166,000, and sixty-six-year-old poker dealer Ashley Solomon and his fifty-one-year-old cheat-agent Dale Foret decided it was ripe enough for the taking. So Solomon set up the deck to give Foret a very high-value losing hand and some other player at the table who was not involved in the scam and even better one. He then performed a false shuffle to protect the order of the cards set up. The exact values of the hand were not disclosed. Usually, a bad-beat jackpot occurs when there is a losing hand of at least Aces-full. In some casinos the losing hand must be four of a kind or a straight flush. Apparently, Solomon set up the cards right on the table in front of all the players, which leads me to believe that several had to be involved in the scam. It is quite difficult to set up an entire deck without any of the players noticing it. As is routine each time a bad-beat jackpot is hit, casino surveillance reviews the video to see if there were any irregularities. They spotted the false shuffles and therefore expelled the jackpot and called the Louisiana State Police Enforcement Divsion, who arrested the couple. BTW, even though each of the two poker cheats has a unisex name, they are both men. North Korean Computer Hacker/Defector Reveals Army of North Korean Hackers Attacking Online Poker Sites From Their Base in China! I first blogged about this back in May of last year when reports of North Korean hackers breaching online poker began surfacing. Now a North Korean hacker/defector calling himself "Jong" has gone public with his detailed story of an actual army of Korean leader Kim Jong Un's very skilled hackers sitting in wide rows and long columns in barren warehouses infiltrating online poker and casinos. According to Jong, each hacker was personally responsible to send their leader Kim Jong Un at least US $100,000 per year of hacking proceeds. All this while they lived in deplorable conditions in downtrodden areas of Chinese cities. Jong said they were treated like unskilled laborers and that their living conditions were so bad that many suffered from hunger and disease. He added that the mere thought of going south on the North Korean dictator with any money was inconceivable, of course only out of fear. 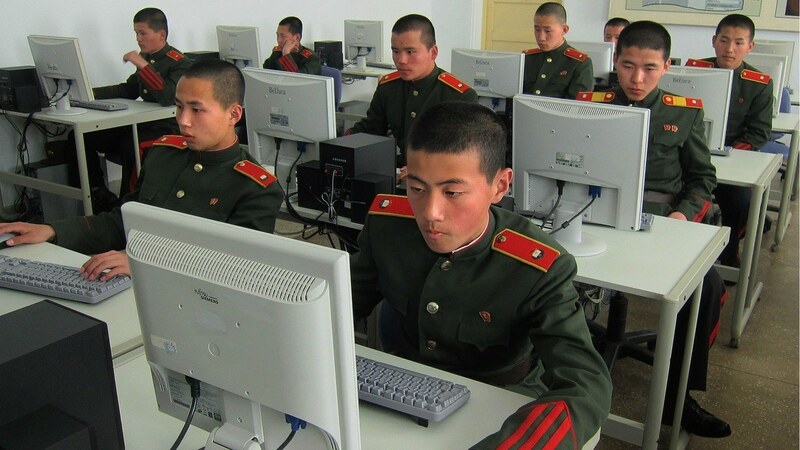 The North Korean Hacking Army did several things to pilfer money from online sites. First, they just stole money outright. Second, they garnered player-information and sold it to online poker cheats and collusion operations. Third, they stole commercial software and used sophisticated bots to assemble multi-player assaults on online games. Jong said the whole thing was torture and he couldn't take it anymore, so he risked his life to defect. My take: Well, maybe Jong can be of service to Western governments and supply valuable computer-hacking info to the CIA and other agencies?? ?.